Today (July 15), I kegged five gallons of my Azacca Session IPA, which was brewed 12 days prior. I added 2 oz. of Azacca hops pellets for dry-hopping, and will let it condition at 68° for five days before carbonating at serving temperature. Gravity was 1.015, down from 1.045. This works out to 3.9% abv, nearly exactly as calculated. 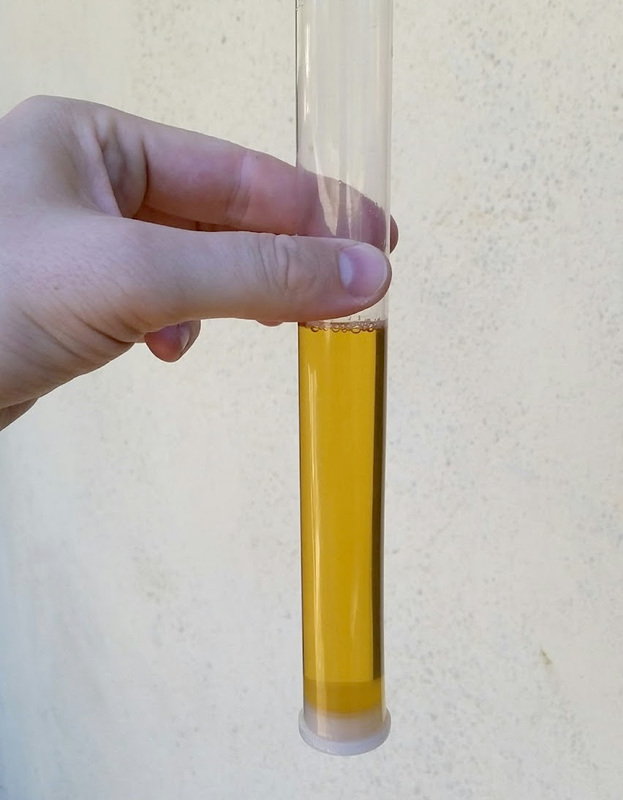 The beer is incredibly clear (as expected from the WLP005 yeast strain) and light gold in color. At least on initial tasting, the beer was only moderately bitter (hopefully to be accentuated as the beer conditions and carbonates), with a clean and definitely malty backbone, although not overly malty. This entry was posted in kegging, session beer, session IPA and tagged ASIPA. Bookmark the permalink.